Well, the LeBron Challenge is officially over for Ryan and I. Hooray! I’ll be sharing more on that Friday. In the meantime, I wanted to share this easy, fast snack I made while I was abstaining from added sugar. It’s insanely decadent. I’m talking, wedding appetizer decadent. But also, extremely simple and cheap. 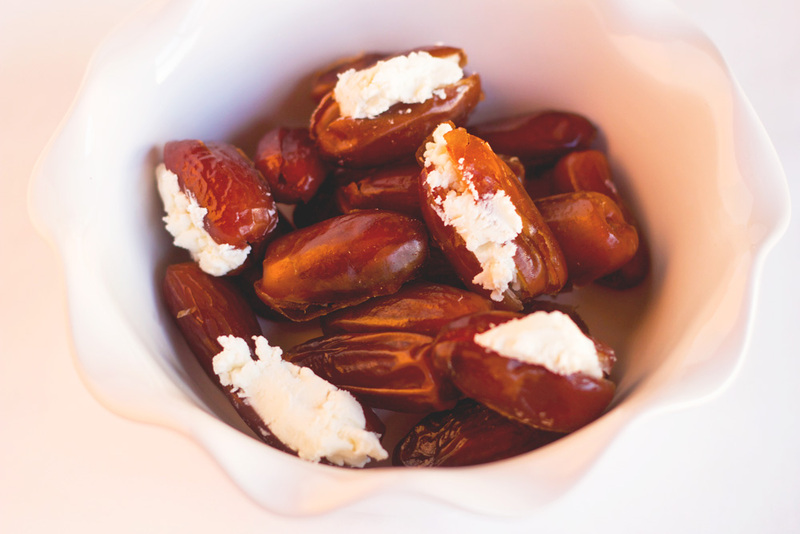 All you need is two ingredients: goat cheese and dates. 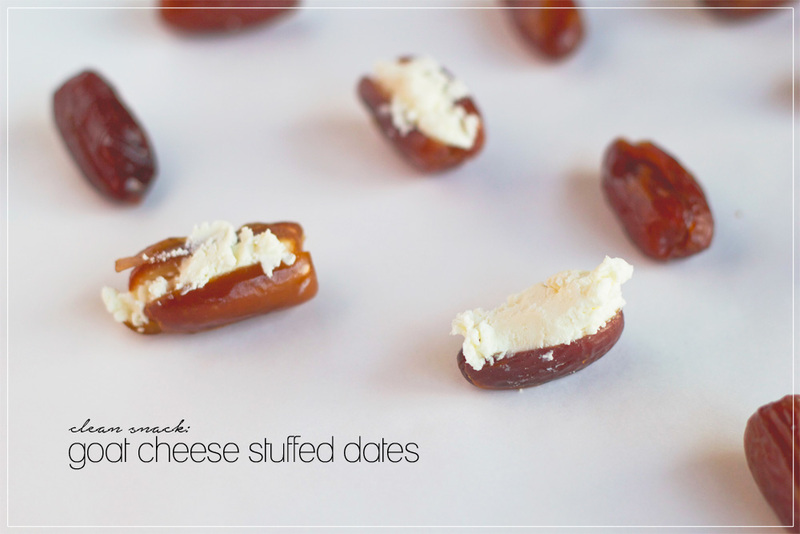 Cut each date open, put in a little bit of goat cheese and boom, done. 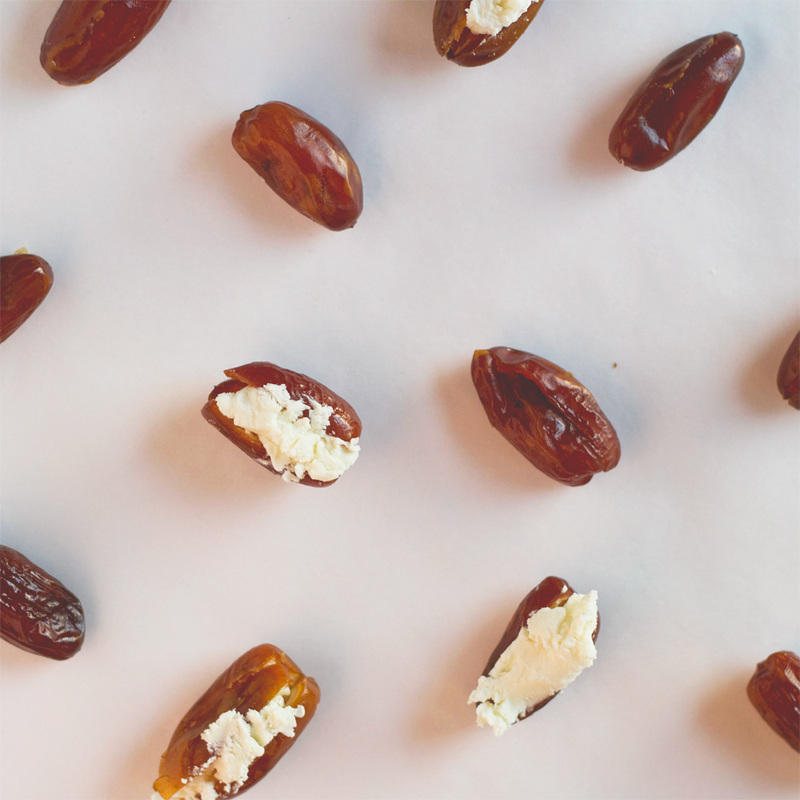 You could also be lazy and just dip the tip of a date into goat cheese for the same effect. It’s obviously ridiculously easy, but these things were my saving grace for post-dinner sweet snacks, so I thought I’d share the “recipe” (if you can call it that). Plus, they were pretty filling. Only one or two and I’m good to go.